Green Energy 3000 GmbH has announced the successful sale of its large photovoltaic project in Wanzleben near Magdeburg to a major investor. 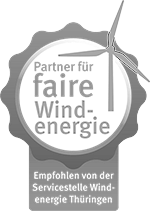 We're delighted by the investor's decision to continue its secure, sustainable investment in renewable energy – and to renew its trust in Green Energy 3000 GmbH as a reliable partner. Currently under construction, the solar park is set to be commissioned in July in conformity with the EEG German Renewable Energy Sources Act. Wanzleben Solar Park will generate over 6 gigawatts of solar electricity annually – enough to supply around 1,800 households in the region. The inverters are covered by a 5-year warranty, while the solar modules are protected by an insured guarantee lasting 10 years. In addition, the modules have a 25-year performance guarantee. Once again, the technical operation of the solar park will be handled by sister company Green Management 3000 GmbH. Accordingly, we'll be looking after all the technical matters relating to Wanzleben Solar Park in our clients' interests on the basis of long-term contracts.